Daryl Johnson (Worcester Park, United Kingdom) on 23 January 2011 in Documentary & Street. Beautiful view on the cemetery of Mont St Michel. I love the contrast and textures. Remarkable how they made such good use of limited space. This magnifiscent place is at only one and half hour drive from where I live! @Richard Standley: Thanks Richard! I wonder if we drove past you... Paris direction...? 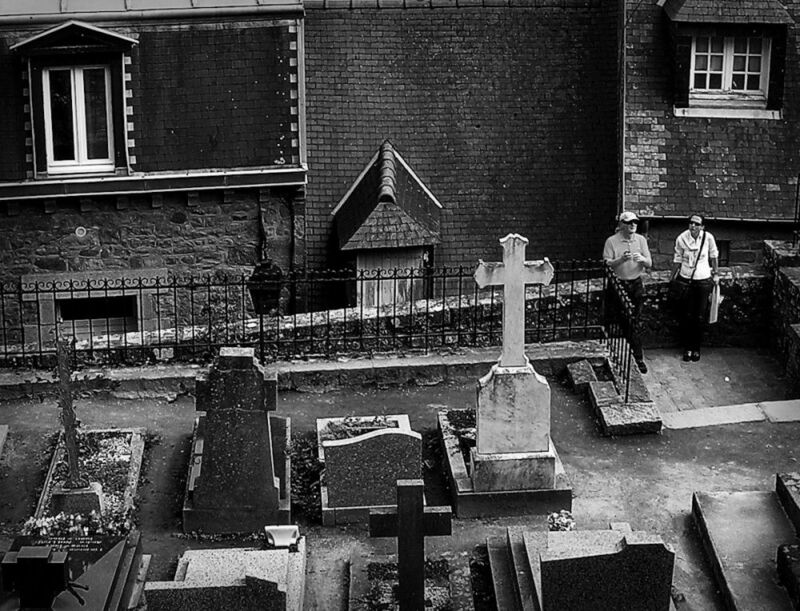 A good shot of that old cemetery. hello, I'm on duty actually!! like my japonese friend I love that photo! Wonderful angles, shapes and slopes here . .